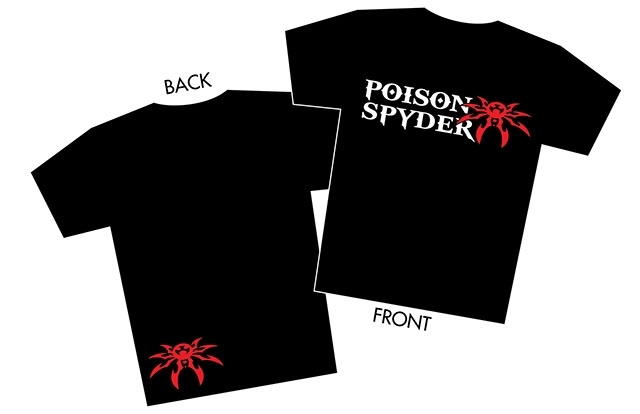 The stacked version of the Poison Spyder logo in white with a red Spyder printed on the front of a quality cotton T-shirt, with the small red Spyder symbol printed on the lower left back. Fits try to size, soft and comfy! Great quality shirt! I'll be getting another. Love the shirt. Top quality as with all PSC stuff. Can't wait to get my rear bumper and sliders next.